Sparkling water is no longer a privilege in Paris; it’s a right. Sparkling water is no longer a privilege in Paris; it’s a right. 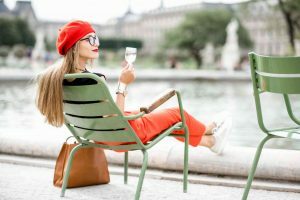 Several sparkling water fountains were introduced to the city in 2010, but the Paris City Hall announced that at least one carbonated water fountain would soon appear in each of the city’s 20 districts. Perfect for the parched traveler, tourists and locals alike are taking advantage of this accessible commodity. French citizens consume an average of 40 gallons of bottled water per year, and the number continues to rise as the population increases. Sparkling water fountains were created as an effort to decrease plastic waste throughout the city. The fountains, known to the public as Fontaine Pétillante, offer an alternative to popular bottled sparkling water such as Perrier and Evian. They also intice Parisians and travelers to enjoy more water throughout the day, a key to a healthy lifestyle. The fountains dispense water from the main network, often sourced from The Seine, aquifers, and aqueducts. CO2 is added just above the fountain, and dispensed at 40 degrees F, in order for the water supply to maintain its freshness. The fountains are completely free, and people are encouraged to fill up multiple bottles a day to hydrate their entire family! The city continues to dot the landscape with sparkling water fountains, but you can currently find them in the 7th, 12th, 13th, 15th, 17th, and 18th arrondissements. The Reuilly Garden, The Garden of Eole Fountain, and Martin Luther King Park are just a few notable areas where visitors and locals can enjoy a free cup of sparkling water. This entry was posted on Wednesday, January 3rd, 2018	at 3:40 pm	. You can follow any responses to this entry through the RSS 2.0	feed. Both comments and pings are currently closed.